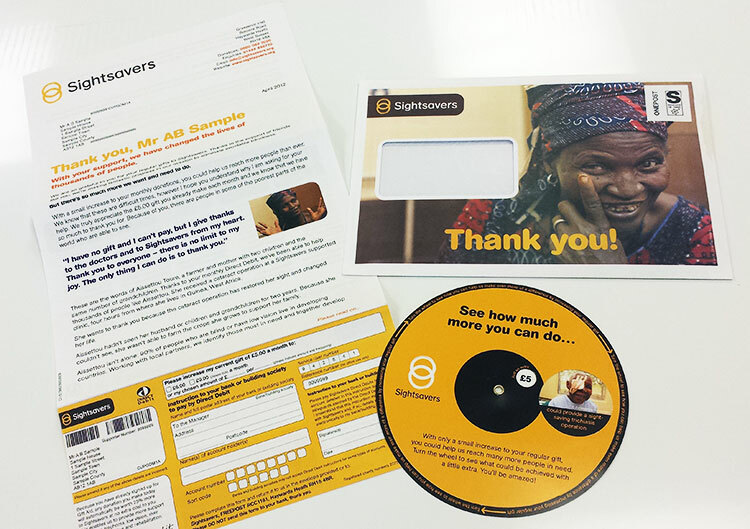 Sightsavers needed a fresh idea for one of their appeals. The appeal targeted supporters who were already giving on a regular basis but encouraged them to increase their monthly amount. The two-part circle lets you select an amount of money in one window and then explains what that amount will actually achieve.